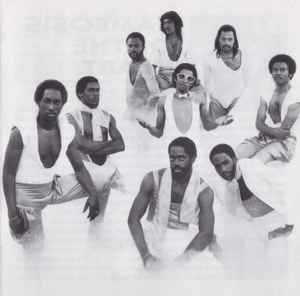 Formed in 1974 in New York, USA. Originally called New York City Players, but changed to The Players after a lawsuit against them, by the Ohio Players. Has released 17 albums between 1977 and 2000. Their definitive hit is 1986's "Word Up". In the '00s, Cameo-bassist Aaron Mills started collaborating with OutKast. My Current collection of Music is at nearly 4000 songs AND THIS WAS 1 OF 3 ARTIST I started out with, Mint Condition and Luther Vandross were the other two. Me and my sister's always loved the "CANDY" video and I also always liked "Single Life". I now, (at 38 years old) own ALL OF THEIR HITS! thanks Discogs for keeping this memory alive! They are one of the greatest examples of pure music!!! What a group. I started collecting their albums due to my mother playing out Secret Omen and We All Know Who We Are as a child. When I grew up i actually started listening to their albums as a whole and was taken aback at how versatile they are in their sounds through the years. I was more of a fan of the Cameosis/We All Know/Secret omen era where they sound like a big band still however they have enough cuts to keep a dance floor packed for hours. Went to see them perform as well and they were amazing. I love Cameo. I like their 80's stuff the most. Style, She's Strange, Single Life, Candy, Back And Forth, they are all master pieces. My daughter of 9 really digs it to! Thank you Cameo.